November | 2007 | Two cultures, one mind. The fan on my work PC has been making terrible noises. As the heat in the room increases, the noise gets louder and louder, to the point that I had to switch it to standby sometimes when on the phone. It only took two emails to our IT support guys for them to come and take the machine away. It’s now Friday mid-morning, and there’s still a (very) large hole where the PC was. I’ve just emailed IN CAPITAL LETTERS explaining that I need the machine back, now. There’s a lot I can do with my laptop (I’m one of a handful of lectures who has their own laptop, wonder what would have happened if I hadn’t brought it in today), but I can’t access network drives, or our Lotus Notes Databases – which is a bit of a concern. I think I’ll have a walk up to their office, see if there’s anyone around. If I see my PC in pieces on a desk, and a lot of sucking in of breath and tutting, I’ll know that I’ll be glad I store most all of my information on the network drives. Google earth has finally made another pass over my house. There can’t be that many people who can pinpoint the time the photo was taken as accurately as I can. How about the 5th or 6th of May 2006. Here’s the pic. 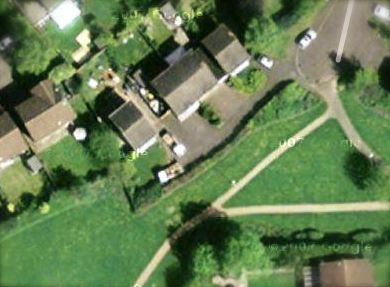 My house is the small detached one left of centre, with the two vans parked at right angles. This was when my conservatory was being built, and I was at home on these days. By the shadow, I can tell it was morning, about 9am – 11am. My car is parked at the end of the row of houses, I can even make out the sunroof. I remember showing some children google earth when it was first developed, and their view was very much ‘so what!’. I now know that it’s not actually satellite pictures that take photos of this resolution, it’s nothing more than a plane flying overhead with some clever optics linked to the GPS signal. But it’s still impressive, and I’m glad I’ve been able to pinpoint the day so accurately – I’m trying to think and there’s no other day last year it would have been identifiable like this. Give Norton System Scan it’s due, it’s slow, but it does work. I came back home 12 hours after I left (work problems and awful traffic), and found that Norton Security Scan was still running. I took the bull by the horns and canceled it, was very careful to follow the instructions to clear the virus. I rebooted, another (much, much shorter) Norton System Scan took place, and voila!, all is sorted. I have Task Manager, the machine’s responding fine, and I’m happier. Windows Defender thought that all was well, and reported no problems. I know it’s spyware/malware rather than virus focussed, but you would have thought it might have spotted one of the 90 infected files that Norton Security Scan did, and the fact that the registry had been hacked to pieces. Ad-Aware Personal did indeed spot the problem, but was unable to fix it. Each time a ran Ad-Aware, it claimed to have fixed the problem, but after a reboot the same problem was still there. In some ways I quite like the fact that it took 30 hours to fix the problem, at least the seriousness of the issue of catching a virus has not been lost on me. I think I will look at alternatives, including ‘real time’ virus protection rather than the ‘scan when you think there’s a problem’ type. Oh, and I’m building up a nice rant about Amazon, their Prime service, and their use of Home Delivery Network, but I’d better save that until another day. You wait years for a virus, then two turn up at once. A students wanted to show me some work, so he plugged his usb drive into my machine here at university. A bit of whirring (well, OK then, flashing LED) – then a VirusScan warning came up, there was a virus in the ‘autorun.inf’ file on the drive. What was worrying for me was that the student didn’t seem that concerned about it. ‘Shall I email you the files instead?’. Yes, as long as you run a virus checker first. I would have been mortified if it had been my pen drive. There are two theories here. Either I’ve just been unlucky to encounter two viruses (virii?) in two days, or there’s more out there than I thought. A couple of years ago I supervised a student who’s final year project was on viruses, but it was out of date as it was being written, and was focused on dissemination through boot sectors on floppy disks. The fight moved to email virus, the last two I’ve encountered have been through instant messaging, and usb drives. This aside, it’s been a quiet day at work. Students are in their usual state before assignments are due (most of my assignments are due in on Friday). I should be working on paperwork and admin, but can’t get too enthused at the moment – other things on my mind I guess. For the first time in years, I have a virus on my home PC. I have a strong suspicion that I know what’s caused this – one student submitted their coursework which I’ve been moderated on a pen drive. It seemed to behave ‘funny’ on my machine, and it started crawling then. Since then the Task Manager option has been shaded out so I’ve not been able to start it – running from the command line is says ‘you do not have administrator privileges’, which I clearly do! Adaware has found some problems, but doesn’t seem to be able to clear the problem. I’m trying Norton Security Scan (part of Google Pack), to see if it can spot it and stop it. The purges so far have improved the performance at least, so the scans themselves are running quicker. I’ve just had a thought, I had Windows Defender running too, and it sneaked past that – right, let’s see what that can do. Top tips from this apart from the obvious of don’t put usb drives into your own machine (I’ll be more wary at work too), is that just because you don’t have a problem for a while, it doesn’t mean that they problem has gone away! Good job my MacBook is working fine, and I’m still being productive. 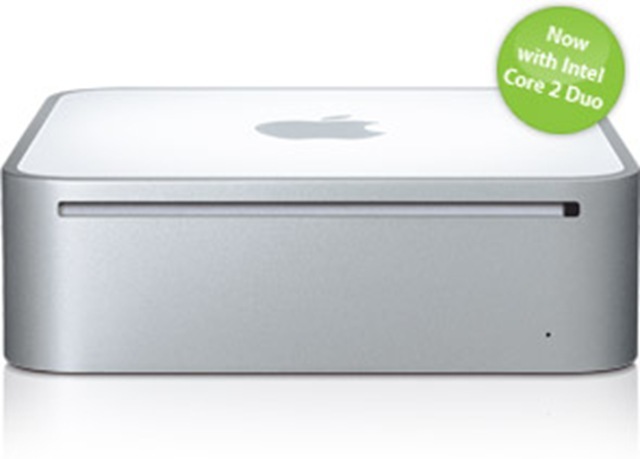 Two people have tried to convince me that this is the time for me to switch to a MacMini, which I’ve been thinking about for a good while, but don’t have the budget for at the moment. I’ll update tomorrow if I’ve fixed the problem – I’ll probably edit this posting later to add links to the various products mentioned. UPDATE – It is a virus, it’s been identified as W32.IMaut.N, and not spread through USB drives, but Yahoo! Messenger – I loaded it last month to chat to a friend who had a Yahoo! I’m still scanning, but I’m guessing because Norton has identified it, it will also remove it. I’ve also removed Yahoo! Messenger from my PC – ‘just in case’. I’m moderating assignments today. It’s an important step in the assessment process. It works like this Lecturer A marks the assignment. Lecturer A can then give the assignment back to the students making it clear it’s ‘subject to internal and external moderation’, or the work can then be passed to Lecturer B who then performs internal moderation before returning to the students? No problems, the marking scheme has been applied appropriately and the marks can be passed to the students (subject to external moderation by the external examiners). Problems with one or two assignments. As a moderator I would never unilaterally change a student’s marks, but discuss with Lecturer A why they awarded a particular mark. There may be some ‘negotiation’. Problems with all marks. This could indicate a problem with the marking scheme, and will need closer examination. In the few rare times this has happened, we’ve prepared a report for the external examiner about the difficulties. In reality this rarely happens with coursework, and is more common with examinations. There are various options available to the module team. One quirk of our faculty is that we do moderation in green pen, so it’s frequently known as ‘green inking’ coursework or examinations. Enough procrastination, I’d better get my ‘green ink’ out and start moderating. Marking some assignments and then completing the long-prepared course report for e-skills awaits. The information below has been provided as Reference Sheets for the OU Staff Development Day at Harborne on 24th November. This advice is not supported or endorsed by the Open University. To connect to the Internet at home you will need an ISP – Internet Service Provider. Over the last few years many of these have become household names. Some things to look for are ‘bundled’ deals from companies such as TalkTalk, Orange (which used to be Wanadoo, and before that Freeserve), and Sky, who offer services alongside broadband. BT of course offers Broadband. If you’re in an area which has cable, then Virgin Media offer similar bundles. Remember however that many broadband providers ask you to sign a twelve or eighteen month contract. Talk to your neighbors about what broadband service they use, and the speeds that they get. Once online you can check the speed of your connection through a web site such as Speedtest will confirm the actual broadband speed you are getting. for each machine that connects to a wireless network. If you don’t need broadband, then you can still use a Dial-Up connection to access the Internet. You must make sure that your new laptop or desktop has a modem (sometimes called an analogue modem) to plug into your phone line – many new PCs don’t have this, as it’s assumed you will be using broadband. Tesco offers some good deals on dial-up broadband, including a daytime-only tariff of £5.99 a month – good value if you’re mainly working during the day. The most important piece of software you is the Operating System. If using a PC, this will be a version of Microsoft Windows (though see Open Source, below). It is important that you ensure that your operating system meets the minimum requirements of the course you are tutoring. The most recent version of Microsoft Windows is Vista. This comes in five different versions, but for home use there are two main versions. Windows Vista Home Basic runs on older machines, and those with limited memory and graphic cards… any machine up to two/three years old should run Home Basic, and is frequently included on new, bottom of the range PCs. This will be fine for most of your needs, however you will not have access to the rich media experience (fancy graphics and usability) of Vista Home Premium – PCs which offer this operating system will usually cost more. A word of warning, there are horror stories abound of people upgrading their machines from Windows XP to Windows Vista. This is not a simple matter of ‘insert DVD and click’, ensure that you have a backup of all important files. pay around £100 (though at the moment there is a great offer of the full package of MS Office for any FE/HE student for £38.95 – see the ‘ultimate steal’ web address below). An alternative Open Source package called, Open Office is provided by the Open University on their Applications CD, for use by students and teachers, but you must remember to save in .doc (not .docx) or .rtf format, otherwise students will be unlikely to see your comments. There are alternatives to the Internet Explorer browser, which offers greater online security, and perform quicker. Mozilla, Opera (and Camino for mac users) are all valid alternatives, and offer functionality with added security. Finally, it is important that you back up files and folders. A new development is online backup, where your data is securely transferred across the Internet. Mozy offers a free 2Gb service for both PCs and macs which I have used for months with few problems, including restoring files. If you use the link below, then I get some extra storage space for all who sign up. Dell are the largest direct providers of PCs in the world. They did have a reputation for poor quality, but in recent years seem to have the balance right between cost and quality. They have regular offers in newspapers and on tv – make a note of the ‘offer code’ or specific web site in the advert. Their base models, both desktop and laptops, offer good value, but be wary of the extra cost of on-site warranties. If you are looking for a cheap, low specification laptop, then student-laptops could be worth a check. Ensure that you get a laptop which is at least ‘Internet enabled’, either for wired or wireless access. Be wary of other cheap laptop deals, through eBay or friend of a friend, they could be stolen. When buying a used laptop, you’ll never get the same battery life as a new machine, and warranty will be limited. Laptops will always be harder to repair than desktops, it’s unlikely you’ll be simply able to replace most of the main components. 5% – 12% (including iPods!) by calling 0800 039 1010, and be prepared to have proof of employment (payslip, contract etc.). There are still advantages to buying hardware from a store; you can easily return to if there are any problems, and they are generally more amenable to answering ‘silly’ questions. Some now have a ‘call-out’ service, and the days of the premium rate support may be numbered. The largest dedicated stores are PC-World, their offers change regularly, but they do ‘pile them high and sell them cheap’. You can also reserve stock online, and collect from a store – saving a wasted journey (and the hard sell!). One store frequently overlooked is Staples, known for their stationery and office supplies, but they have a competitive range of hardware and peripherals – their web site is business focused but provides a taste of their range and offers. I’m blogging from the Open University staff development day. At the moment we’re listening to a keynote lecture about the new VLE being introduced, which just happens to be moodle, which I’ve been using for the last four years. Unfortunately the ‘borrowed’ wi-fi link which I had been using had disappeared, so I’ll have to do a cut and paste. I’ve been to several of these staff development events before, but have never seen one so well attended. Chatting to the other associate lecturers the reason for this attendance seems to be practical. In the past, these events have been held on a Sunday, as the regional centre is usually fully booked during the week. There is also a buzz about the new faculty structure, and of course the changes within the University. I have to make a quick comment here about my macbook. I’ve got the screen brightness turned down low, but with the wi-fi connection still active. The battery monitor says I have over five and a half hours battery life, incredible really. I kow that if I do anything too processor intensive the fan may start whirring, and battery life plummets like a stone, but for note taking such as this it’s absolutely fine, and also very quiet. As mentioned before, I’m also here for a lunchtime ‘marketplace’ event, where four or five of us are setting out a stall in the main room, and we are hoping people will come to us with their questions and queries. I’m offering general technical help using a PC (or a mac) for OU work. The speaker has just made an interesting quote “You can’t smell people online!” A good point, and it caused a ripple of laughter. I’m not sure whether this is a advantage or a disadvantage! The network link is up again, and I’m keen to post this ‘live’, so I’m going to cut and paste, more later.